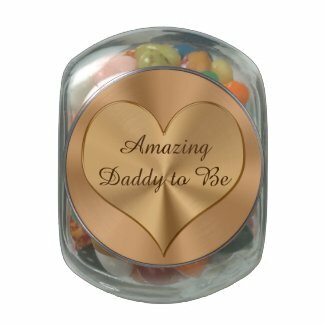 Special Personalized Daddy to Be Valentine Day Cards and Matching Gifts. Type in YOUR TEXT or keep our “Amazing Daddy to Be” and “Will You Be Our Valentine”. Inside is a lovely Valentines Day Poem that you can also Change. 3 text box templates. Watch the smile on his face when he sees this Daddy to Be Valentine Card and matching Daddy to Be Valentine Gift. Wonderful poem inside the card written by Ruthie Coley. Putting that together with expecting the joy of having a precious little baby of his own should make him feel very complete, wanted and happy. Keep our Text in the Three text box templates or Change ANY or ALL of the text to your special Valentine Message for Daddy to Be from you and baby. This is the poem written by Ruthie Coley that is on the inside of the above Daddy-to-Be Valentine Card. What joy when the expectanting father reads this. Father to be will warm his heart when he thinks about how the two of you (both his wife and his baby that you are carrying) want to be his Valentine. There’s something deep inside me, Magnificent and new. I love it, though I see it not, because it’s part of you. Do you think the Two of Us could be Your Valentine! Thank you for visiting our Daddy to Be Valentine Card and Gifts. CALL or Email us for special order requests. We can place our designs on any Zazzle product. Thousands of gifts go choose from. Quality, Fast Service and 100% Guaranteed. If you have a Daddy to Be Valentine design idea, please give us a call.